Beginning in November of 1936 when she is just seven years old, the story’s historical facts and fiction merge to create Esfir’s world, a colorful place that slowly turns dark and gray when bullying in the schoolyard gradually escalates to riots on the streets, forced labor in the ghettos, and the eventual horrific massacres that marked the Holocaust in Eastern Europe. 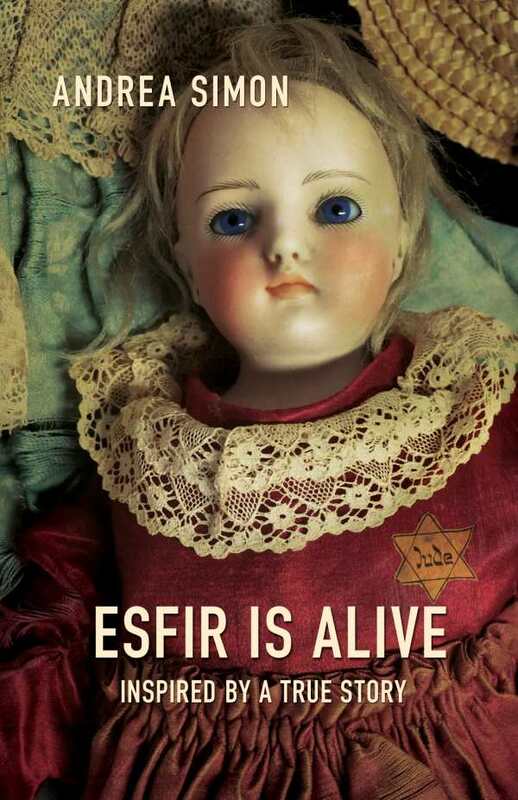 A story rife with tragedy, Esfir’s focus on family and friends sees the seasons pass through the observance of holidays and traditions, and as Esfir grows and looks to those around her for guidance, and Yom Kippur, Chanukah, and even Lag b’Omer can no longer be openly acknowledged, she focuses on celebrating the spirit of those she has loved and lost by remembering their passion and compassion, their intelligence and humor, and their quirks and foibles, but most of all, their zest for life. A personal story for Andrea Simon, who can trace her ancestry to near Esfir’s quaint but war-torn Belorussian village, there is heartbreak and hope, along with the determination that those lost will never be forgotten.